BE MORE WILD THAN GOOD! Maidens of the 12 months of the year awaiting the approach of the Great Grump and the Autumn Equinox Procession. Crested Butte, Colorado --Our mountain Village lives the Healing Story and Embodies the Positive myth of local Place Spirit and our Ancestors. There is no other Heritage and Earth-Awareness Festival like it in North America!--Perhaps the world! 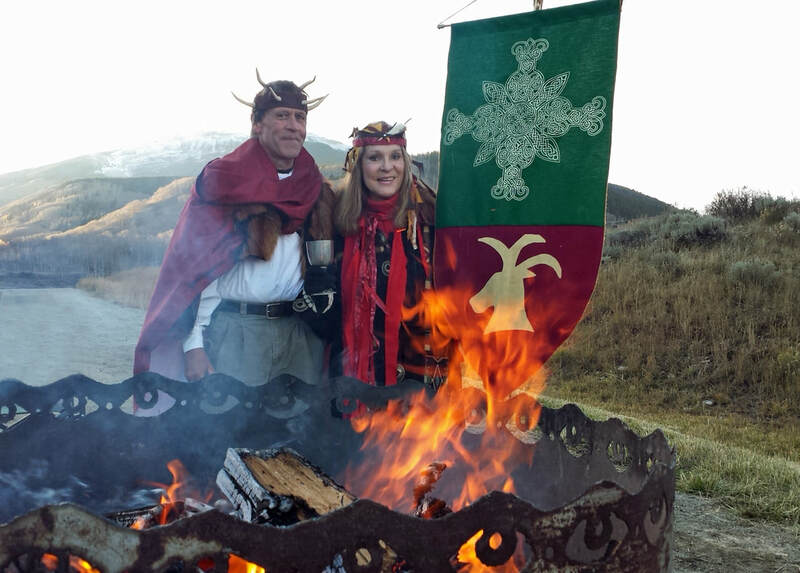 During this week of joyous, ecstatic ceremony, ritual, celebration in preparation for the Sacred Marriage of the Green Man and Sovereignty--the Northern European name of the Goddess Earth As the Grail Quest identified: "The Lord, and the Leader is the Land. The Land is the Leader." 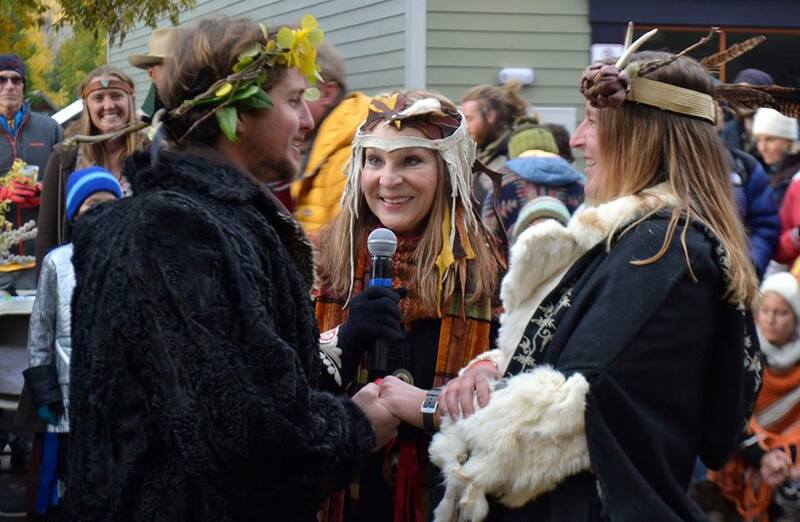 In this sacrament, the man chosen by the women in the community commits to a Handfasting, the ancient wedding of commitment for a year and a day. He contracts for all the villagers, to honor and to bow to all that Sovereignty teaches and requires. The entire village shares in the Re-Commitment Ceremony as we promise to preserve and protect our Wilderness and the fragile Rocky Mountain environments of Nature which surround us. During the Autumn Equinox and season of Mabon, we share 2 wild and wonderful weeks of Storytelling, Earth-Honoring Celebration of the Sacred Feminine, Sacred Masculine and the balance of All Life. 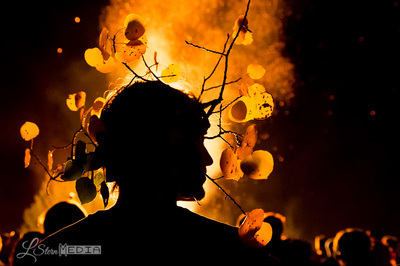 We do this by selecting a Green Man and invoking Cernunnos, Herne and Thor, the Great Huntsmen-Protectors--Fathers of Forest and Field. We call all of Nature to join us in the form of mountains, animals, magickal creatures. We welcome the very pregnant Harvest Mother, Honor the Earth Dragon and our Wilderness, Create All-Community HandFasting, Wedding and Re-Commitment Ceremony, Harvest Feasting and 4-story Bonfire to release the grievances of the past. Join us for joyous dancing in the Streets. BLESSING, RELEASING AND BECKONING THE FUTURE--TOGETHER! "Love this festival! Always a great week, the people and community are awesome! This is a yearly tradition for us." ~ Jessica Wims, Crested Butte. 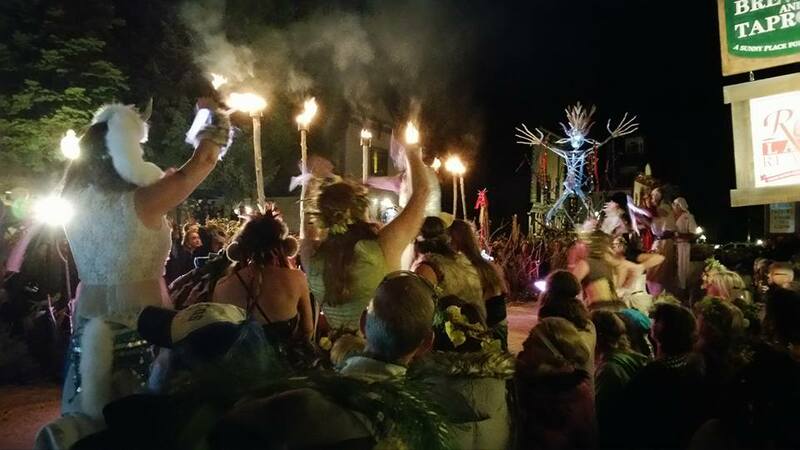 The Art and Spirit of the Green Man--literally embodying joy, life and protection of all that is Wild within us and the Natural World around us. 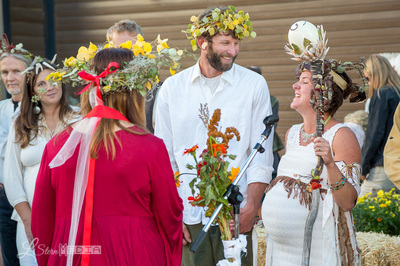 HandFasting Ceremony with the Harvest Mother and Father and Recommitment Celebration of the entire community. Four-story Bonfire at the Village Crossroads. Banishing Grumps from the passing year, Beckoning Blessing for the coming year. A cast and production guild of 250 community folks create our week-long ceremonial festivities. Autumn Equinox Procession. 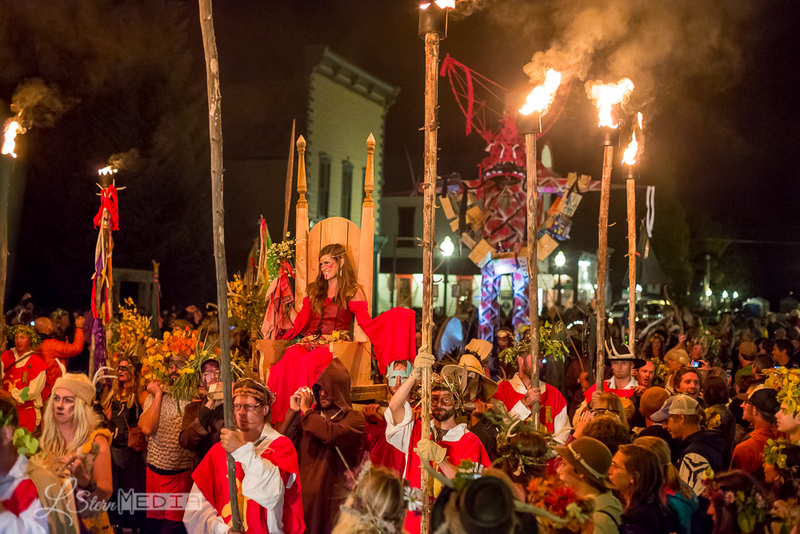 The Red Lady, regal embodiment of our Mother Mountain being carried in front of the Great Grump effigy. Burn the Grump! Save the Red Lady Mountain from extractive mining!